Making little wonders happy and satisfied is not less than a challenging task. Their aspirations, tastes and likeability vary very fast and pacing with it seems just difficult. So instead of fighting with this odd situation and searching for their favourite toys and games madly in market; it’s better to buy online toys gifts from Giftcart.com. Yes! Giftcart.com, one of the most trusted and diverse online shopping portals for toys and games in India that is offering a wide variety of colourful toys and intelligent games for little kids. Now, no need to escape yourself from any birthday party or any other kids’ celebration as you have the option to purchase gifts exclusively from online toys store at Giftcart.com that will let you to select the most suitable toy or game for children. 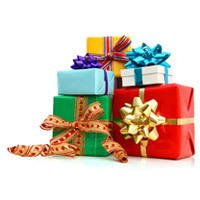 Another interesting element of Giftcart.com that is more thrilling and exciting is not only you can buy online toys gifts but also you can send to India your chosen toy gifts from any part of the globe and that too without any hassle to the doorstep of the recipient. A happy smile on kid and baby face is a wonderful thing that is incomparable and they mostly feel happy and satisfied when they receive their favourite gift items either toys or any other things. 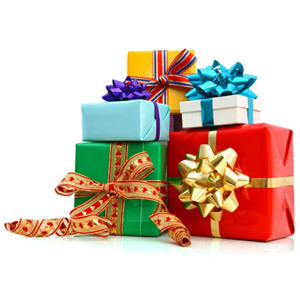 They can like or dislike your gift instantly and don’t hesitate to give their bad remarks if they don’t like it. So therefore it is always safer to rely on Giftcart.com for such shopping as it always keep the latest collection of kids and baby toys by keeping all the necessary things in consideration. Educational and learning- The kid who is studying or just joined his or her school then gifting him or her any item from this section is highly appreciated. Not only the kids get excited but parents too feel that something informative gifted to a child and will help the kid to sharpen his or her skills more. Baby toys and activity-Small babies find it very creative when the toys enhance their daily activities and offer them to play more and feel happy. This section designed by keeping their daily small activities in mind like soft toys that can keep them busy and let them to exercise, bath toys for bathing time, learning and activity toys for learning and musical toys for sharpening their hearing senses. Games and Puzzles- This section is for those kids who are in growing stage and want something that can help them in developing their mind skills and increase their IQ level. The experts of Giftcart.com have well chosen the games and puzzles to let them think differently and increase their learning while playing. Besides this other popular choices for kids and baby toys are Dolls and Doll houses, Transportation, Soft toys, Action and Interactive, Bikes and ride Ons, Electronic toys, Musical toys and Sports and Hobby.